In 1953 at the height of polio epidemics in the United States, Salk and colleagues described preliminary findings that led to an inactivated poliovirus vaccine. After review of the scientific evidence favoring artificial immunization against polio, the systematic experimental approach to vaccine development was outlined in detail including the criteria for selection of the vaccine strains, the choice of monkey kidney cells for vaccine virus production in tissue culture, and the inactivation of infectivity by incubation of clarified virus preparations in a 1:250 formalin at 1°C for 7 to 10 days. Preliminary results were reported on the levels of neutralizing serum antibodies induced in 161 human participants who had been injected with the experimental vaccine just a few months earlier. Antibody levels, measured in both tissue culture and in mice, were higher when the vaccine was emulsified in a mineral oil adjuvant and delivered intramuscularly than when the vaccine was prepared in an aqueous suspension and delivered intradermally. Antibody levels to each of the 3 poliovirus serotypes induced by the inactivated vaccines compared favorably with levels induced by natural infection. Formalin inactivation of infectivity, measured by intracerebral inoculation of cynomulgus monkeys, appeared to be irreversible and the induction of neutralizing serum antibodies in human participants appeared to be entirely attributable to the noninfectious experimental vaccines. 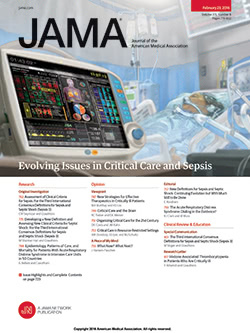 See PDF for full text of the original JAMA article. The medical world has made much progress since the historic efforts in the 1950s of Dr Jonas Salk to develop inactivated polio vaccine (IPV) and of Dr Albert Sabin to develop oral polio vaccine (OPV). Global incidence of poliovirus cases has declined more than 99% from an estimated 350 000 cases at the beginning of the World Health Organization (WHO) Global Polio Eradication Initiative in 1988 to 1315 cases in 2007 and to 866 cases at the time of this publication.1 Poliovirus type 2 was eradicated in 1999. The number of countries that have never interrupted wild poliovirus transmission (ie, polio-endemic countries) has been reduced from more than 125 in 1988 to 4: Afghanistan, India, Pakistan, and Nigeria. In this Commentary, we review the historical basis for pursuing polio eradication and assess the prospects for reaching the goal of a polio-free world. In 1994, the Region of the Americas was certified as polio-free. Cessation of poliovirus transmission was achieved through 4 key strategies: surveillance for acute flaccid paralysis; strengthening of routine immunization systems; provision of supplemental doses of OPV through national immunization days and subnational targeted supplemental immunization activities; and house-to-house “mopping up” immunization rounds to eliminate the last foci of polio transmission in affected countries. Successful application of these basic strategies in the Western Pacific region was pioneered by China, which experienced an epidemic in 1989-1990 that affected 10 000 children despite high routine OPV coverage.9 By 2000, the 37 Western Pacific region countries were certified polio-free,10 followed in 2002 by the 51 countries of the European region.11 The 4 endemic countries have persistently delayed certification of the remaining 3 WHO regions. Naturally acquired immunity through wild poliovirus circulation exists only in the polio-endemic areas of the world and those few previously polio-free countries experiencing ongoing poliovirus transmission because of importation from endemic areas. The remainder of the world relies solely on immunization, whether OPV, IPV, or a combination of both. Even when achievable, high rates of routine immunization alone (>90%) have proven inadequate over the last 40 years to prevent periodic epidemics in tropical countries with high birth rates and poor sanitation.2 Thus, a consensus emerged within the polio eradication initiative that any eradication strategy in the developing world should consist of the 4 fundamental components that proved so successful in the Americas: improved routine immunization, supplemental mass immunization, poliovirus surveillance, and outbreak response capacity. In many tropical developing countries, pools of susceptible individuals accumulate from both failure to reach children through the routine program and failure of OPV to uniformly induce an adequate immune response despite the recommended 3 to 4 routine doses. Even countries with relatively high national immunization coverage are at risk for periodic large polio outbreaks in the absence of supplemental immunization. Therefore, any strategy for developing countries must also include the capacity to organize and deliver multiple supplemental doses of polio vaccine each year to prevent large polio outbreaks. An integral component of global eradication is continuation of nationwide acute flaccid paralysis surveillance, which includes continued operation of the WHO Global Polio Laboratory Network. The 145 laboratories of the Global Polio Laboratory Network are essential for providing information for programmatic action by identifying outbreaks early, assessing the effectiveness of immunization strategies, and guiding response efforts toward global control. Each country must have access to sufficient public health infrastructure and vaccine supply for possible polio outbreak-response. The vicissitudes of economic and political fortunes of low-income countries dictate that this response capacity must also exist at the WHO headquarters and regional level, and rely on external funding. After reaching a record low of 483 reported polio cases globally in 2001, 2 events fueled debate about the feasibility of polio eradication. The first circumstance was the cessation of polio vaccination in northern Nigeria during 2003-2004, which occurred because of unfounded fears about the safety of OPV; the second was reductions in the number and geographic extent of national immunization days and supplemental immunization days in India during 2001-2002, which resulted in the spread of polio from Nigeria and India during 2003-2006 with importations into 27 previously polio-free countries.13 At least 92 separate importations were documented by epidemiologic and genomic sequencing data. Control of the ensuing outbreaks required additional supplemental immunization rounds with direct costs of more than $500 million in external funds alone. Cessation of polio vaccination in northern Nigeria resulted in more than 5000 additional paralyzed children during 2003-2006, both within Nigeria and through the spread of poliovirus to 20 of the 27 polio-free countries from West and Central Africa to Indonesia. The year 2007 marked a turning point as intensified eradication activities in the remaining polio-endemic countries reduced poliovirus spread. During this time, most of the outbreaks in countries that were previously polio-free were successfully stopped through intensified use of outbreak-response guidelines endorsed by the World Health Assembly in May 2006. As of June 2008, transmission continues in the 4 polio-endemic countries but only 6 countries that were previously polio-free have ongoing transmission (Angola, Chad, the Democratic Republic of the Congo, Ethiopia, Niger, and Sudan). New tools and tactics, in addition to more aggressive outbreak-response guidelines, have contributed greatly to restoring confidence that polio eradication can be achieved, including large-scale use of monovalent OPV formulations to enhance protective efficacy, particularly in tropical countries, compared with trivalent OPV; implementation in the WHO Global Polio Laboratory Network of rapid virus culture techniques and the polymerase chain reaction to reduce the time for poliovirus identification by half, thereby facilitating rapid response capacity; and intensified engagement of national and local political leaders in polio-affected countries. In polio-endemic countries, type 1 monovalent OPV has been used on a massive scale (>2.5 billion doses since 2005) to prioritize eradication of type 1 poliovirus, which has a greater capacity than type 3 poliovirus to cause paralytic disease, to cause large outbreaks, and to spread over wide geographic areas. Remarkable progress has occurred in India, which has reported a record low of 8 cases of type 1 poliovirus in 2008 and has interrupted indigenous transmission for the first time ever in Uttar Pradesh—its largest state and last remaining original “polio reservoir.” Whether this success will be sustained through the 2008 summer high season for poliovirus transmission remains an open question. Other challenges include a new type 1 poliovirus outbreak in 2008 in northern Nigeria with renewed risk of international spread, which is due to persistent failure to fully vaccinate children, and persistent low-level poliovirus transmission in parts of Afghanistan, Pakistan, and a handful of previously polio-free countries now dealing with ongoing poliovirus transmissions due to importation. In polio-free countries of North America, Europe, and Australia, there has been a transition back to the use of IPV to eliminate the rare adverse events associated with OPV. More than 5 million children and young adults are walking today because of the efforts of the polio eradication initiative since 1988. After the many setbacks, will the promise of a polio-free world for future generations15—first imagined by the availability of polio vaccine beginning in the 1950s—finally be realized? While optimists would say yes, the answer still is not clearly in sight, although it may be just over the horizon. Corresponding Author: Stephen L. Cochi, MD, MPH, Centers for Disease Control and Prevention, Global Immunization Division, 1600 Clifton Rd NE, Mailstop E-05, Atlanta, GA 30333 (scochi@cdc.gov).